Welcome to our web-page dedicated to giving our readers some information on Deer Creek and the surrounding area. 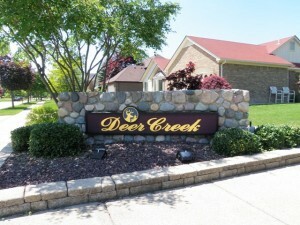 Deer Creek is located in northern Livonia Michigan just west of Gill Rd inbetween 7 & 8 mile. The picture you see here to your right is of the sub’s entrance off of Gill and Bretton Rd. As you may have heard me say before one of the first things you will notice upon entering this sub is the tremendous amount of pride the local residents have in their neighborhood and community. It seems like you will always see people out working in their yards, walking or just hanging around. 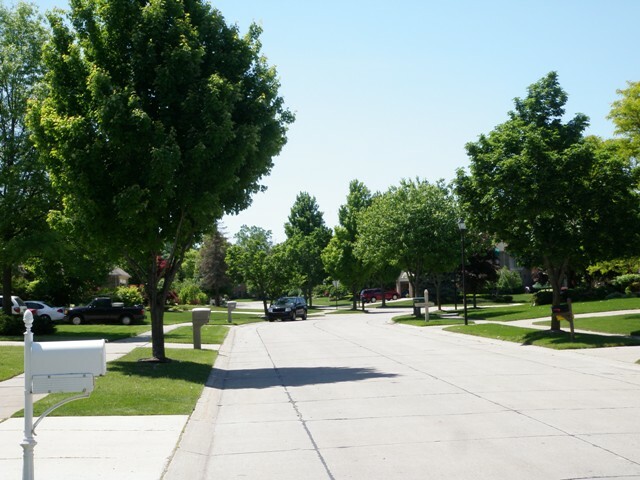 This neighborhood is well kept and is very pleasing to the eye. There are approximately 209 executive style homes in Deer Creek with Bicentennial Estates, Summer Creek, Windridge Village as its very close subdivision neighbors. The local school district for this area is Livonia Public Schools with the featured high school of Livonia Stevenson. At this time the childred of this area attend Coolidge Elementary, Riley Upper Elementary, Holmes Middle School and then Stevenson High School. If you or anyone you know is looking to buy or sell residential real estate in the area please feel free to contact us at BobandTeena@Yahoo.com or call/text at 734-578-6561. We would love the opportunity to assist you with all of your future real estate needs. Feel free to watch our Deer Creek information video by following the link below. As you can see by the picture to your left this sub offer a well kept very decorative feel to it. 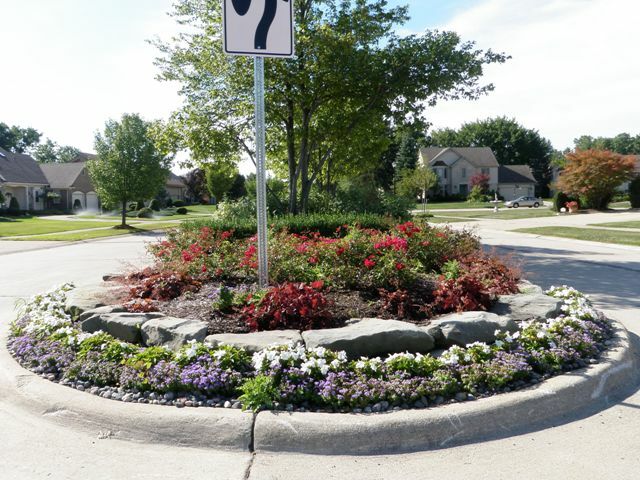 The picture with the flowers on the traffic island is actually of the northern entrance to the sub off of Eight Mile Rd. This point is just about as far north in Livonia as you can go, if we turn around in the picture we would be looking at Farmington Hills. In the next picture we see what the interior of the sub looks like just as if you were driving around here for yourself. What many local residents have told me numerous times is how the love the convenience of living here. From Deer Creek you have great access to healthcare, shopping, exercise gym’s, parks, highways, city services and much more. Here are just a few great local attractions for you to take a quick look at: Livonia Recreation Center, Livonia Library, City of Livonia, Laurel Park Place Mall, Twelve Oaks Mall, Bicentennial Park, Rotary Park, Founders Park, Botsford Hospital, St Mary Mercy Hospital, LJAL Little League Sports and Livonia Real Estate Agents.